Hi, National Geographic, it's me, Ryan. I got your package today and I guess I'm wondering - why did you send me a pseudoscientific crystal healing water bottle with your name on it? National Geographic, usually known for photos of animals and the adventures of rich people visiting other countries, is premiering their Will Smith-narrated, Darren Aronofsky-produced series, One Strange Rock, on March 26. I had a chance to watch one of the episodes at a screener last month - it was fine and very wide-eyed. There were lots of shots of Earth from space. It was very pretty. But I guess I've been concerned about Nat Geo ever since Fox bought them back in 2015 - and this bottle makes me question whether they're turning into a high-budget Goop. The huge box Nat Geo sent me contained a book, some press material, and this glass water bottle with their name printed on the side. 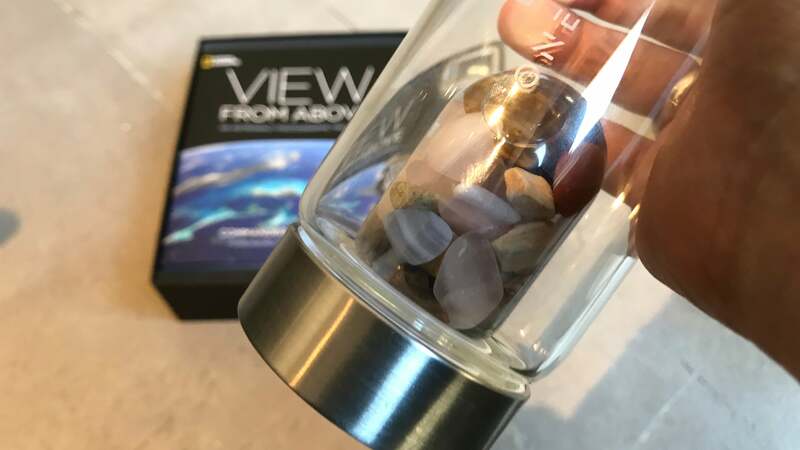 The $9) bottle's package advertises that it contains "carefully selected and ethically sourced gemstones representing the building blocks of earth," including "wood," "water," "earth," "metal" and "fire." 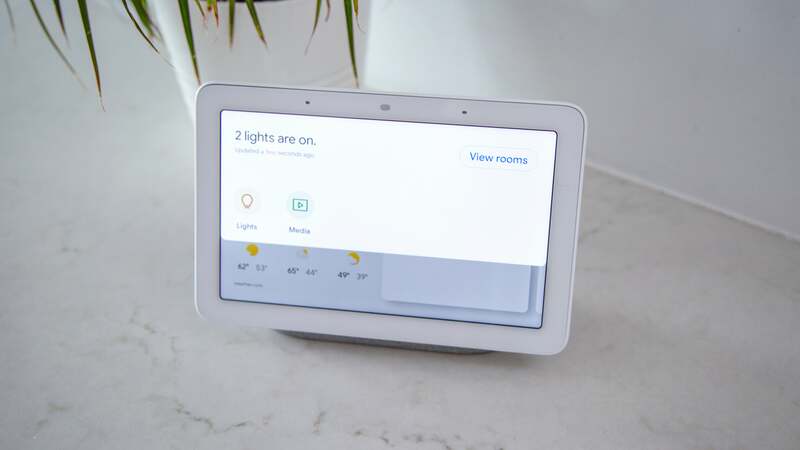 It came with an instruction and information manual. Why does my water bottle have an instruction manual? It reads: "For the most precious moments in life! Gems raise the energy level of water. That's been known for hundreds of years and scientifically proven. 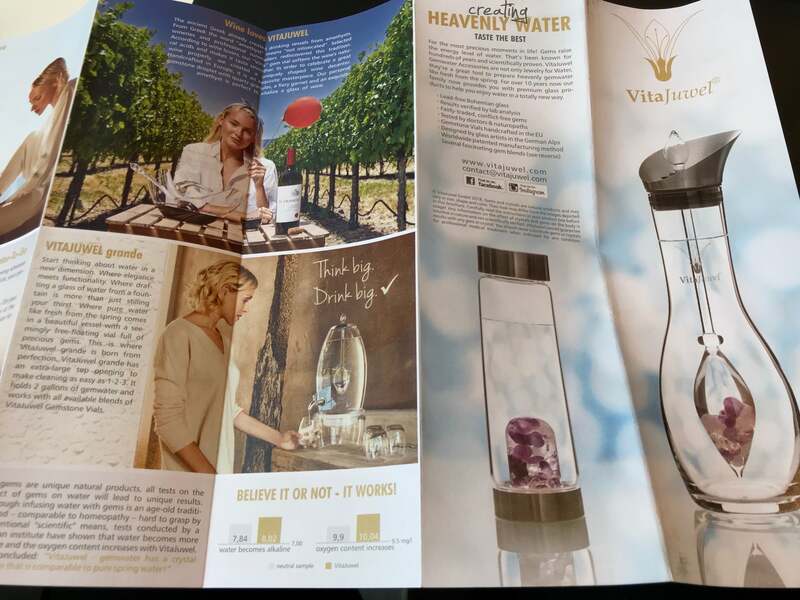 VitaJuwel Gemwater Accessories are not only Jewellery for Water, they're a great tool to prepare heavenly gemwater like fresh from the spring." The instructions are: screw in the gemstone vial, fill with water, and then wait 7 minutes. Here's the thing - this is a water bottle containing a sealed jar of gemstones. At no point will the water even come into contact with any of said gemstones. A warning tells you to discard the bottle if there is any way for water to seep into the vial of gems. All of the "science" cited in the brochure comes from widely debunked research from the likes of Japanese author Masaru Emoto - you know, the researcher who claimed humans could impact the chemical structure of water with their thoughts - or unnamed "German scientists." National Geographic, why did you send this ridiculous thing to me????? One press officer representing the new TV show (who I feel bad for) agreed that the bottle was definitely pseudoscientific, and suggested that maybe Nat Geo was "aiming to be symbolic." Nat Geo has not yet responded to request for comment at the time of publishing, but I'll update when I hear back. Gems are common in pseudoscience, you may be familiar with crystal healing from Gwyneth Paltrow's trainwreck of a pseudoscience blog, Goop. Please don't make me worry that people should align National Geographic with these folks. I already feel like the world has turned its back on science with the anti-vaxxer movement running unchecked, Goop selling "bio-frequency-healing stickers," the EPA seemingly doing whatever it can to ruin the environment, and pseudoscience-peddling websites like InfoWars garnering any readers at all. Hey, maybe this is a joke, meant to rile journalists up. Or maybe it really is symbolic, or an oversight. But what's more worrying is that perhaps there's someone or even several people working at National Geographic who believe that there are benefits to putting a sealed vial of gemstones into a water bottle. Update 4:45PM ET: I followed the directions and the water tastes exactly the same. The water bottle was just meant to be a clever and harmless representation of some of the themes of the show, and nothing more. Sure, the accompanying guide might read a little silly to some — but I think you are missing the point. It's a glass water bottle — a great alternative to using plastic! Really no need to be so literal. Of course National Geographic does not subscribe to pseudoscience, and I think you full well know that. But it doesn't mean we can't have a little fun. He then wished me well, reaffirmed how great the show will be, and asked for the water bottle back. We agreed at Gizmodo that it's a pretty water bottle otherwise — but perhaps sending this specific bottle was a bad idea. People really do believe in this stuff, based on the several reader emails I've received chastising me for not understanding the powers of healing crystals. Perhaps someone should have noticed that unsupported claims about crystal healing would not be received well by science fans.